West Coast office serving - Ft Myers, Cape Coral, Naples, Bonita Springs, Punta Gorda, Port Charlotte, Marco Island, Sarasota, Bradenton, Tampa, St Petersburg and surrounding areas. East Coast office serving - Florida Keys, Miami, Ft Lauderdale, Boca Raton, Hallandale, Dania Beach, Pompano Beach, Lighthouse Point, Deerfield Beach, Delray Beach, West Palm Beach, Lake Worth and surrounding areas. Marine Mentor of FL Inc has been performing marine surveys in south Florida and the caribbean since 2000. We provide the most thorough and professional inspection of your vessel using ABYC, NFPA, and USCG standards in all of our surveys. Our goal is to deliver the most comprehensive and thorough survey possible so you can make well informed decisions regarding your boat purchase. 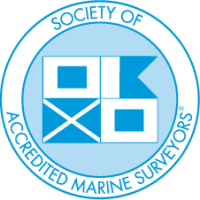 If your insurer or lending institution has requested that you provide them with a recent in the water or out of the water marine survey; or if you require any of our other services, give us a call. We’re here to help you in any way we can. Our adherence to the highest standard of ethics, attention to detail and quality control standards ensures that our surveys are among the best in the business. Our offices in Homestead, FL and Ft. Myers, FL can take care of your survey needs anywhere in central and South Florida.